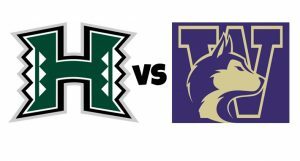 arrow_backPrevious Nextarrow_forward 2019 UH Road Warriors-Huskies Football Weekender and Las Vegas-SOLD OUT! Our hale for this football weekender is at the Motif Seattle, the perfect spot for exploring downtown Seattle. Located on Fifth Avenue, you are just a short walk from Pikes Market and steps from great shopping and restaurants. Come Monday, we are off to fabulous Las Vegas for 4 nights with accommodations at Golden Nugget Hotel and Casino. Round trip air via Hawaiian Airlines and Delta Air Lines from Honolulu. Four nights at the 4-star Motif Seattle Hotel. Baggage fees are additional and payable directly to Hawaiian Airlines and Delta Air Lines at check-in. Current fees are $30 for the 1st bag and $40 for 2nd bag. Additional bags are $100 each. Weigh limitation per bag is 50 lbs. Checked bag fees are a one-way fee. *Motif Seattle Hotel Amenity fee which has been waived for our group includes the following complimentary features. Starting from $1,995 per person quad occupancy (4 persons sharing existing bedding). Starting from $2,095 per person triple occupancy (3 persons sharing existing bedding). Starting from $2,995 single occupancy. 09/20/19 – Depart Las Vegas on Hawaiian Airlines flight 17 at 1:40 am and arrive Honolulu at 4:50 am. (same day).